Client Corner: How can I find a rental rate for a piece of machinery? How can I find a rental rate for a piece of machinery? Rental rates for some machinery items are shown on the ISU Extension Custom Rate Survey. For items where just the custom rate is reported, a worksheet for estimating rental rates for those items is included at the end of the Custom Rate Survey. The calculations and an example using a Tandem Disk are included below. Leave a Comment on Client Corner: How can I find a rental rate for a piece of machinery? The 2013 Iowa Farm Custom Rate Survey followed the recent trend of small, but consistent increases in rates each year. 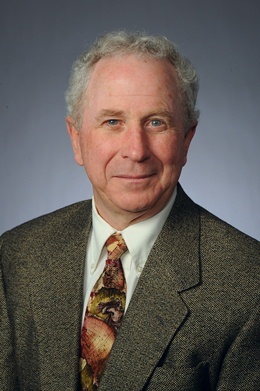 According to William Edwards, Iowa State University Extension and Outreach economist, most operations showed increases of three to five percent over the average rates in the 2012 survey. The values reported on the survey are the average of all the responses received for each category. The range of the highest and lowest responses received is also reported. These values are intended only as a guide. Several new operations and services were included in the 2013 survey, including vertical tillage, providing a seed tender, soybean combining with a draper head and mowing lawns. 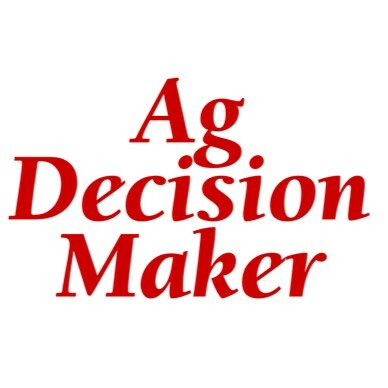 The Ag Decision Maker offers a Decision Tool to help custom operators and other farmers estimate their own costs for specific machinery operations. The Machinery Cost Calculator can be found under Crops, then Machinery in the Ag Decision Maker table of contents. The 2013 Iowa Farm Custom Rate Survey can be downloaded from the Extension Online Store, https://store.extension.iastate.edu, or the Ag Decision Maker website, www.extension.iastate.edu/agdm/, as Information File A3-10, Iowa Farm Custom Rate Survey. Print copies will be available at county extension offices. Drought Questions: What is the custom rate for renting a pull-type silage chopper only? Question: What is a fair rental price for a pull-type silage chopper? The custom rate survey includes tractor, fuel, etc., but we have a request for just using our chopper due to the circumstances this year. Answer: While the Custom Rate Survey does not directly address this question, the worksheet at the bottom of the second page of the survey bulletin can be used to estimate a rental rate for a machine. An example is below. This assume the person using the chopper supplies labor, fuel and the tractor to pull it. You can use your own estimate of the horsepower needed to pull it. Adjust the first step if it is more than a 2-row chopper. For more on Custom Machinery Rates, see Ag Decision Maker Information File A3-10, 2012 Iowa Farm Custom Rate Survey, and the Decision Tool on Calculating Machinery Costs. Other drought related answers and resources from ISU Extension and Outreach are available on the Dealing with Disasters website. Leave a Comment on Drought Questions: What is the custom rate for renting a pull-type silage chopper only? Many Iowa farmers hire some custom machine work done in their farm business, or perform custom work for others. Others rent machinery or perform other services. The information in the 2012 Iowa Custom Rate Survey is based on survey responses from 276 Iowa farmers, custom operators and farm managers. For each operation, the average rate and the range reported are shown. Twenty-eight percent of the respondents perform custom work, 11 percent hire work done, and 61 percent indicated doing both. Values are rates expected to be charged or paid this year, and include tractor, implement, fuel and labor. The average price for diesel fuel was assumed to be $3.25 per gallon. A fuel price increase of $0.50 per gallon will cause total machinery costs to increase by approximately 5 percent. This rate schedule is intended only as a guide. Actual custom rates may vary according to availability of machinery in a given area, timeliness, operator skill, field size and shape, crop conditions, and the performance characteristics of the machine being used. Rental rates for some machinery items are shown on page 2 of the publication, along with a worksheet for estimating rental rates for other items. Ag Decision Maker website offers a Decision Tool to help custom operators and other farmers estimate their own costs for specific machinery operations. View the 2012 Custom Rate Survey. Farm tractors and other implements move down gravel roads, county blacktops and highways all across Iowa, traveling from field to field. This necessary movement is heightened during planting, haying and harvesting seasons. For years, the federal agency charged with monitoring and regulating commercial vehicle safety has allowed state governments to waive commercial drives license (CDL) requirements for farmers hauling crops or driving farm equipment on public roads. Earlier this year, the Federal Motor Carrier Safety Administration (FMCSA) was poised to eliminate this exception. Under the proposed change, FMCSA suggested that all crop shipments be considered part of interstate commerce – even, for example, when farmers were making short hauls to local grain elevators and not crossing state lines. This new designation would make CDLs a necessity for anyone operating a farm implement or hauling grain on a public road. CDLs would have been required for livestock hauled in trailers as small as 16 feet in length. Producers who operated tractors, combines and pickup trucks hauling trailers would all be required to obtain CDLs along with medical cards and maintain log books as if they were long-haul truckers.In many states, young drivers – who may be family farm members assisting in production operations – would be ineligible for CDL license, and therefore excluded from participation in the farm operation. The FMSCA initially intended to allow 30 days for public comment before implanting the new rules. Fortunately, farmers, ranchers and related industry groups contacted federal legislators with their concerns. These contacts resulted in 18 US senators requesting that FMSCA allow more time for public comment – through August 1, 2011. FMSCA received over 1700 comments from farmers and representative groups. FMSCA heard a wide range of protests from concerned individuals and groups. It appears to some that the comments received by FMSCA served to inform the agency of the realities of farm operations. On August 10, 2011, FMSCA issued regulatory guidance, essentially backing off the proposed new rules. At least for the present time, CDLs will not be required of farm operators moving tractors, combines, and trucks pulling implements and livestock trailers. The responsiveness of ag producers and representative groups yielded a positive result. Continued watchfulness on this topic is warranted. The 2011 Custom Rate Survey was recently posted on the Ag Decision Maker web site. The survey is based on responses from 179 Iowa farmers, custom operators, and farm managers. For each operation, the average rate from the survey and the range are shown. Twenty-two percent of the respondents perform custom work, 14 percent hire work done, and 64 percent indicated doing both. The rate schedule is intended only as a guide. Actual custom rates may vary according to availability of machinery in a given area, timeliness, operator skill, field size and shape, crop conditions, and the performance characteristics of the machine being used. To find out your actual cost of ownership and operation, a Decision Tool is available. The spreadsheet allows you to choose the type of machinery, and then enter purchase price, usage, field capacity, and current price of fuel to calculate the cost of ownership and operation. The spreadsheet allows you to calculate costs based on the life of the equipment, for the rest of its useful life, or for the current year only. The Custom Rate Survey is available from Ag Decision Maker here. Adjusting custom machinery rates for increasing fuel prices has been a difficult problem this year. In the 2009 Iowa Farm Custom Rate Survey, Iowa State University Extension Economists suggested that respondents assume that diesel fuel would cost an average of $2.25 per gallon delivered to the farm. However, fuel prices have increased somewhat since then. If the price of diesel fuel increases by $1.00 per gallon (bulk rate delivered to the farm), the total cost of performing tillage operations will increase by 10 to 15 percent, depending on the depth at which soil is tilled. Total costs for less power intensive operations such as planting, spraying, harvesting and hauling will increase by 7 to 10 percent. Another way to adjust custom rates is to use ISU Ag Decision Maker file, “Fuel Required for Field Operations,” which contains estimated fuel consumption values per acre for many common operations. Multiplying the fuel used per acre by the change in the price of fuel since the survey was conducted can provide an estimate of the most recent cost increases per acre. Alternatively, custom operators can keep a record of the actual fuel they use for specific operations and calculate the added fuel cost, or the person hiring the work done can provide the necessary fuel.